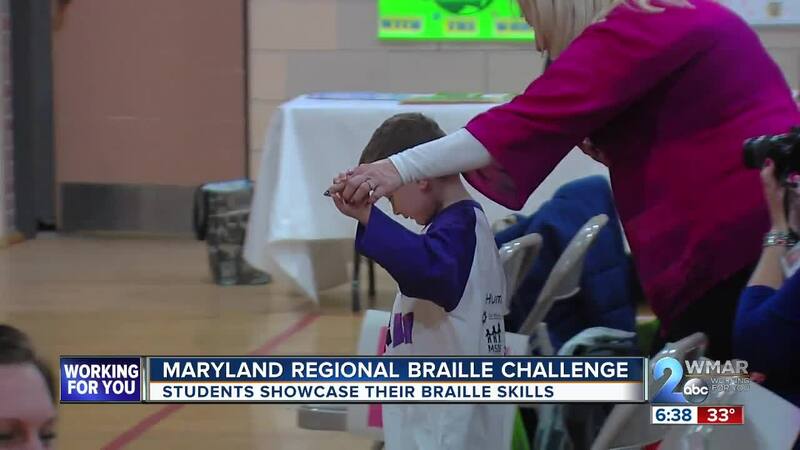 BALTIMORE (WMAR) — Vision impaired and blind students showed off their skills on Saturday, while competing in the 2019 Maryland Regional Braille Challenge. Students in kindergarten through twelfth grade participated in different categories such as reading comprehension, spelling, and proofreading. The challenge was created to give blind and visually impaired students an opportunity to showcase and enhance their ability in braille literacy. The braille challenge is the only academic competition of its kind in the country. 50 participant finalists were invited to the national braille challenge finals in Los Angeles.